Let me be crystal clear: I didn’t NEED any more chickens. Cluckingham Palace is currently home to 11 laying chickens, 1 lavender turkey hen, and, of course, Arthur of Camelot. I currently collect more eggs than I can personally use, and I’ve been pretty open about the fact that eggs cost more to raise than to buy. Out here on the ranch, we are at the peak of our egg season. Most of my fully grown hens lay an egg a day during the summer, which equals 5 to 6 eggs per day. In the fall, my little ones will start laying as well. In the winter, they lay far fewer eggs. We have chosen not to artificially light our coop, which means our girls take their natural “break,” molting and slowing down their egg production for the season. Next summer, I will be swimming in eggs. With a dozen chickens joining our flock this year, hopefully all hens, I will be getting well over a dozen eggs a day. 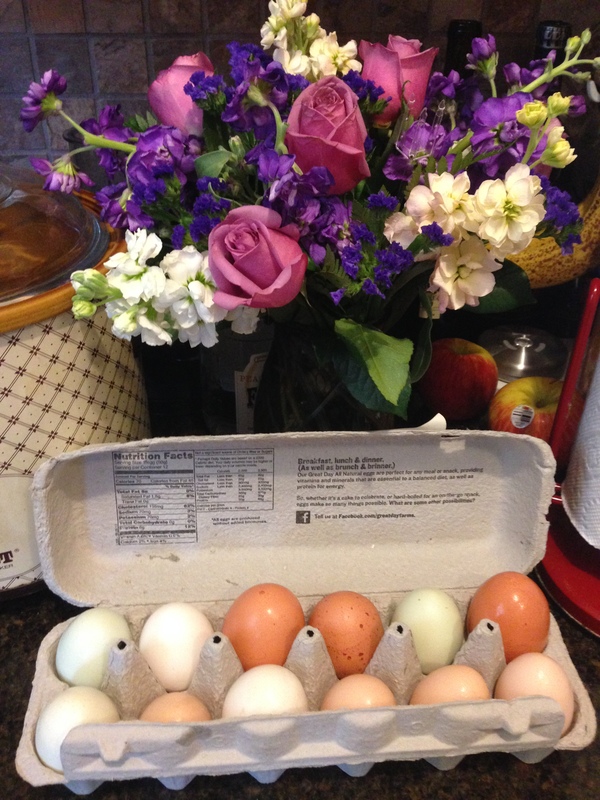 Beautiful, fresh eggs from spoiled rotten chickens. All of this is just to say that, for the first in any sort of recent history, commercial egg prices are starting to creep up close to organic prices.